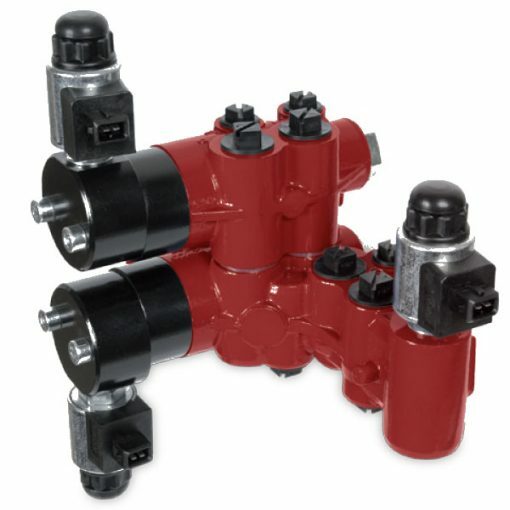 HYDAC Nordhydraulic RV 360 Selector Valve has an optimisation for assembly on a front loader. It presents a flow rate up to 60 l/min and maximum working pressure of 300 bar. What’s more, the operation of the valve is by a pilot, it has low internal leakage and its configuration can be with a relief valve of cross type. Additionally, the integration of an on/off control for bucket dampening is possible. Furthermore, the RV 713 Selector Valve is a two and three-way function, 3/4″ BSP ported. Also, the flow rate goes up to 160 l/min at max. 250 bar.